Slowly but surely we’re building out the website pages. 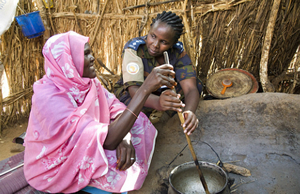 This first one is the International Group page with information about the women who are UN Peacekeepers. What and how should the Empire Branch address international issues? If you are interested in working with the branch on international issues, note your interest in the comments at the bottom of the international page. This entry was posted in General on August 18, 2012 by wahtera.